Vineet Nayar (HCL Technologies), Jim Goodnight (SAS Institute), Ricardo Semler (Semco), Terri Kelly (W. L. Gore), Tony Hsieh (Zappos.com), and John Mackey (Whole Foods Market). I try to follow and listen to what these CEOs say because they’re different, refreshing, authentic, and most importantly, eminently tweetable. 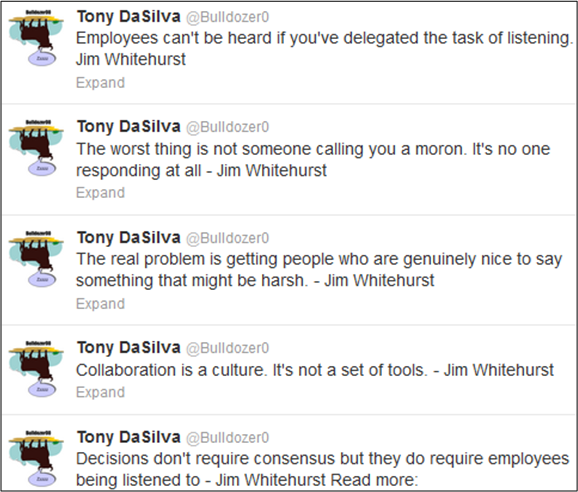 The quotes were plucked from “Management Tips From Red Hat’s Crazy Culture Every Company Should Steal”. I’ve been trying to figure out why I admire Zappos.com (I know, I know, they had a nasty security breach recently), Semco, and HCL Technologies so much. Since I have a burning need to understand “why“, I’ve concocted at least one reason: Tony Hsieh, Ricardo Semler, and Vineet Nayar ensure that fierce transparency is practiced within their companies and all their “initiatives” are rooted there. Working in an environment without transparency is like trying to solve a jigsaw puzzle without knowing what the finished picture is supposed to look like. – Vineet Nayar. Employees First, Customers Second: Turning Conventional Management Upside Down (Kindle Location 547). Kindle Edition. Of course, I’m making up all this transparency stuff, but hey, it reinforces my weltanschauung (<- I had to look up the spelling a-freakin-gain!). That’s what humans do to give themselves comfort. No? I’m a huge Zappos fan and a VIP member (which means free overnight shipping for any purchase!). Thus, I get daily e-mails from zappos.com on special deals. The snippet you see above appeared at the bottom of one of those e-mails. The joyful reason for this post is that Zappos is (rightfully) tenacious about promoting their 10 core values both internally and externally. CEO Tony Hsieh and his merry band truly understand how difficult it is to sustain and maintain a culture of joy and excellence – which is a pre-requisite to both financial and emotional success. Thus, with every chance they get, which includes the daily e-mail, they spread the word. How about your company? Do you even know what their core values are, let alone “walk the talk“? Nah, an approach like Zappos’s won’t work there, right? It’s simply auto-assumed that writing down some inarguable altruisms and pontificating about them from time to time does the trick. There are more important issues to tend to, no? 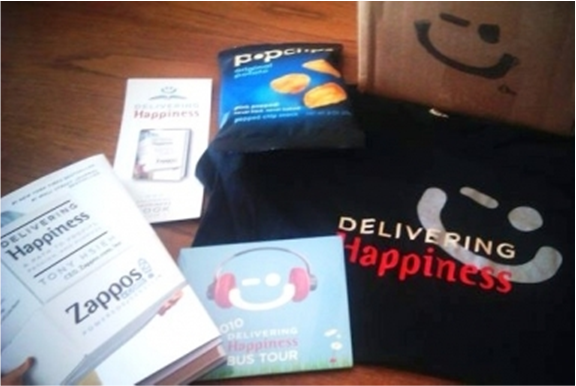 Several months ago, when I bought and read Zappos.com CEO Tony Hsieh‘s “Delivering Happiness: A Path To Profits, Passion, and Purpose” book, I signed up for the VHP (Very Happy Person) program. I also followed the “Happiness Bus” around as it cheerfully toured the USA, spreading a little bit of happiness at every stop. Of course, in order to prevent chaos, NASHMA orgs still have hierarchical structures, but they’re not run as stratified caste system CCHs. In NASHMA orgs, there’s real, two way accountability; and symmetric relationships exist up and down all levels. Most managers in NASHMA groups are PHORs and not STSJs who spend all their “valuable” time planning, watching, controlling, and evaluating. 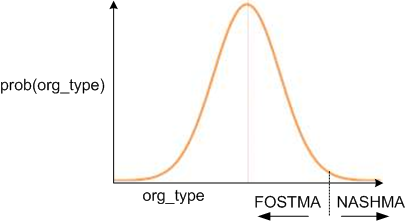 Over time, hopefully the threshold will move to the left – increasing the currently miniscule NASHMA to FOSTMA ratio. However, there will always be powerful and scary psychological forces opposing the movement. As a huge, huge, huge, (did I say youuuuuuuge-uh? 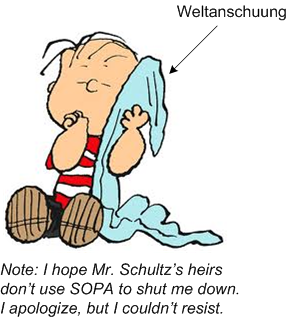 ), fan of Tony Hsieh and Zappos.com, I blabber about them often. 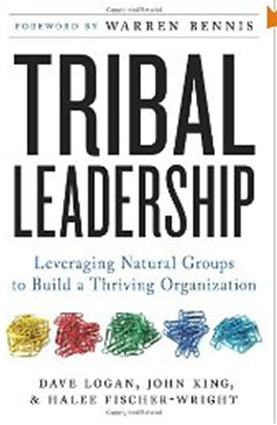 Zappos latest action to make the whole world, yes, the whole world, a better place is to offer up a free, yes free, download of the audio version of the best seller, yes best seller, book “Tribal Leadership“. The link is here, yes here.